I recently installed the Spring Update 1 ( the day it was released ) on my Windows 8.1 installation. This feature was working last Saturday today I noticed that it wasn't. The first thing I attempted to do was toggle the feature on and off. As you can see the feature is indeed enabled. I have attempted to look for people with similar problems. The problem I encountered I wasn't able to find anyone with this problem after they installed the Spring Update. Anyone have any ideas on how to restore IE to start with my previous session? 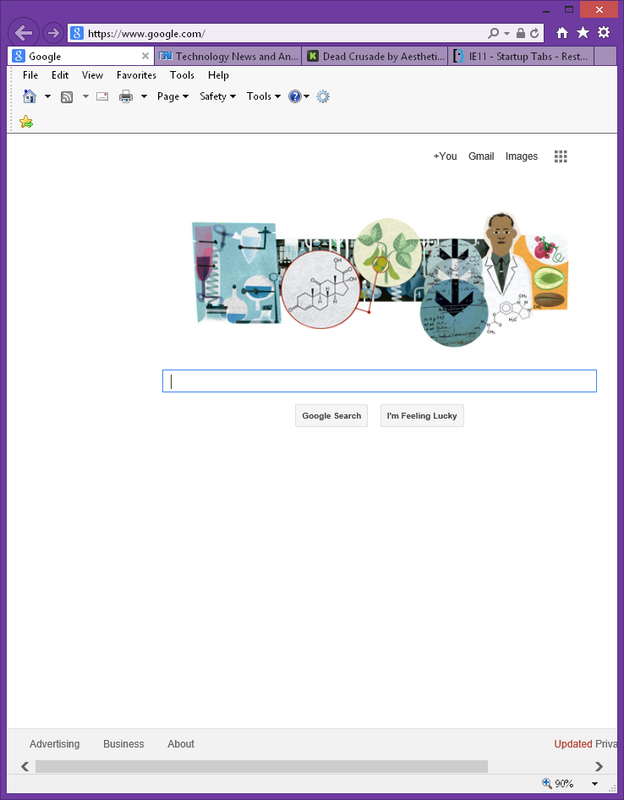 I actually first noticed this problem today when IE11 didn't request to load my previous session ( this happen if you have a certain number of tabs ). I normally can figure a problem like this out. At this point I am stumped and my head is sore from all the scratching I have been doing. Some additional information was discovered during some additional troubleshooting. I noticed that after closing Internet Explorer 11 an Internet Explorer process would remain running after the IE11 window was closed. If I manually end this process IE11 is able to restore the previous session. If I don't then IE11 is unable to load the previous session. What is interesting is that this process does not show up within Process Explorer. Here is this "ghost" process that uses 0% of my CPU and only 29.3MB of memory. If I manually end this process IE will always load the previous session. I also attempted the new profile. By doing this I had a minimal user profile and ruled out any issues with my current profile. This also means if I were to reset IE11 I likely would still have the problem. At this point I truly believe this to be a bug in Windows and some how connected to the Spring Update 1. Please don't link to this Microsoft Answer I just created it. If anything comes from it I will either update the question or if I am able to resolve the problem I will republish the answer here myself. I had the same problem as you have and the same system. I went to tools>>> Internet options>>> Advanced settings >>> Go to Enable Caret Browsing for new windows and tabs and put a check mark next to this. I did this and it opened my last browsing sessions. I couldn't before. Hope this helps and if it doesn't then I would suggest to reset to default and then go back and check the Enable Caret Browsing again. This seems to be an issue with Internet Explorer's core system, if your system will allow you to uninstall/re-install IE, I would do so. You can usually do this in the Windows 'Turn Windows Features on or off' section. After 18 months with this problem I ended up solving it. I solved it by doing an upgrade to Windows 10. This problem has not surface since I performed the upgrade. Given that I had this problem across every single device that I installed Windows 8.1 on, and in every single case the problem was solved, when I upgrade to Windows 10, I feel it is safe to draw the conclusion the problem was simply fixed in the version of IE that comes installed on Windows 10. I had 3 laptops of all difference brands running Windows 8.1, a Surface Pro 3, 1 virtual machine running Windows 8.1 Update, 1 main desktop running Windows 8.1 with all updates, and a 2nd virtual machine running Windows 8.1 with all updates installed. Given that in every case resetting IE resulted exactly the same behavior I will conclude the bug was introduced in Windows 8.1 Update 1. As described in the question itself, this problem only surfaced AFTER, the machine was upgraded to the Fall 2014 Windows 8.1 Update ( aka Update 1 ). Not the answer you're looking for? 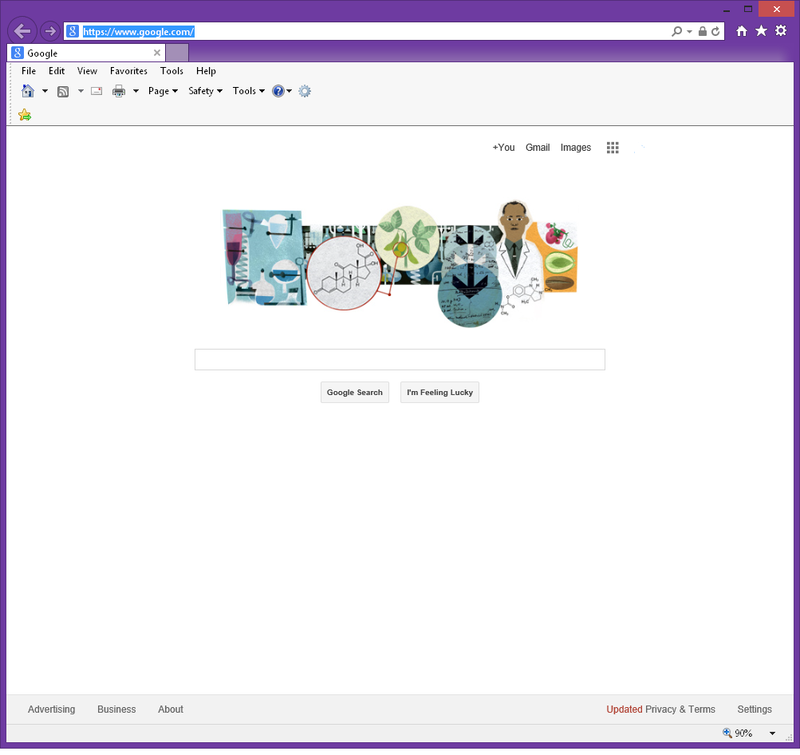 Browse other questions tagged windows-8.1 internet-explorer-11 or ask your own question. Why doesn't my private session in Edge always clear when I close all my InPrivate windows? 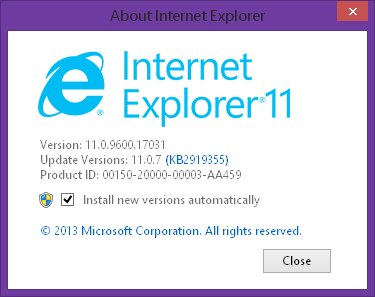 How do I fix F12 on IE 11.0.9600.17905 on Windows 8.1 Enterprise? 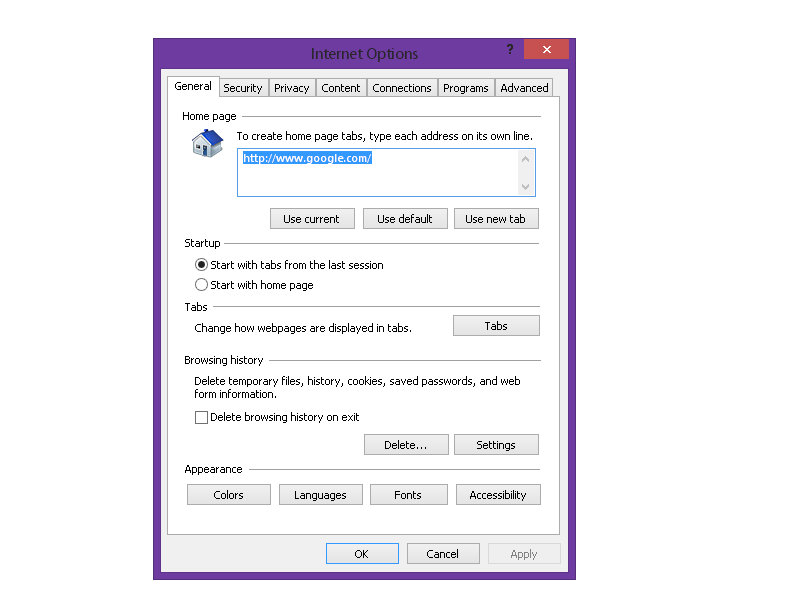 Is it possible to recover HTML form data from Microsoft Internet Explorer 11 (MS IE11)?